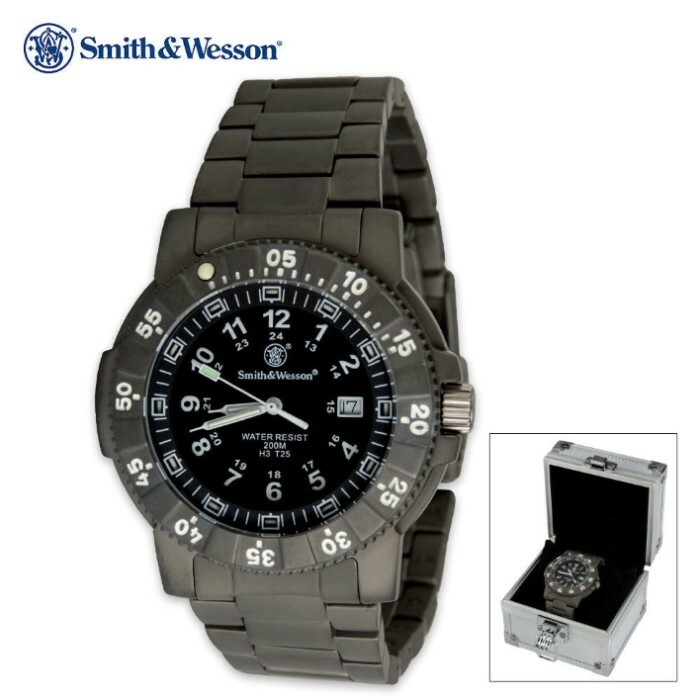 Smith & Wesson Executive Titanium Watch 45 mm | BUDK.com - Knives & Swords At The Lowest Prices! 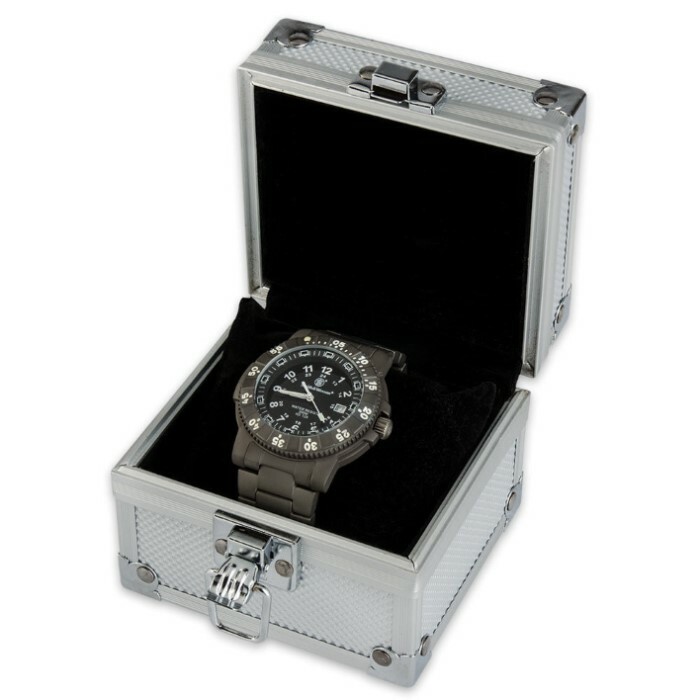 Enjoy all the quality of a Smith & Wesson tactical watch with an executive look and feel in this Smith & Wesson Executive Wrist Watch. 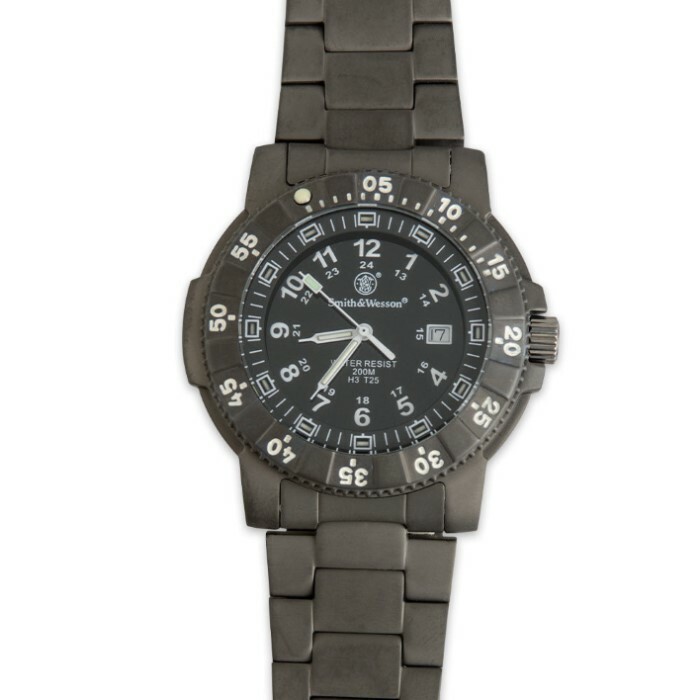 It features a handsome titanium band and a large, 45mm case that provides a noticeable presence on the wrist. This tritium watch guarantees 25 years of consistent glow and is water resistant to 200 meters. The precision quartz Swiss movement keeps excellent time, and the mineral hardened crystal face is extremely scratch resistant. This watch is a real shocker. I was not expecting too much, but I did not expect to like wearing a watch as much as I do this one. It is lighter than any watch as I have ever owned. It also keeps perfect time.